Safety spoon with your baby’s name! What’s better than getting a baby something born individually with his name? This is sure to please each mother. And one of these beautiful and also useful gifts are our baby spoons. In the preferential course they told us that children are not born with tooth decay. Dental decay is transmitted from adults – mainly from parents, for example. when licking a dirty dummy or licking the spoon as a hot baby jelly control. Man wants a baby well and ups … tooth decay is transmitted …. That’s what I wanted to avoid, so I was looking for such a spoon that I offer you here. 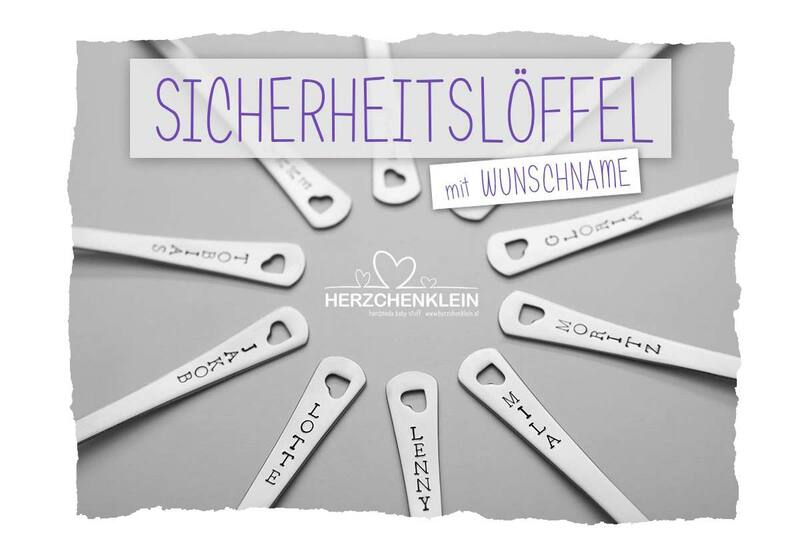 Our Herchenklein spoon is made for you individually, with your baby’s name, which is hand-carved into a spoon. When the jelly is hot more than 43.3C, the spoon changes the color to white to prevent the baby from burning but to caries. Our patented teaspoons are a beautiful gift for your baby, your grandchild, godchild, friends kid and so on. … And you will certainly make every mummy happy. Since all spoons are individually carved for you, the height or spacing of the letters may fluctuate slightly. Please give me the baby name right after the order. 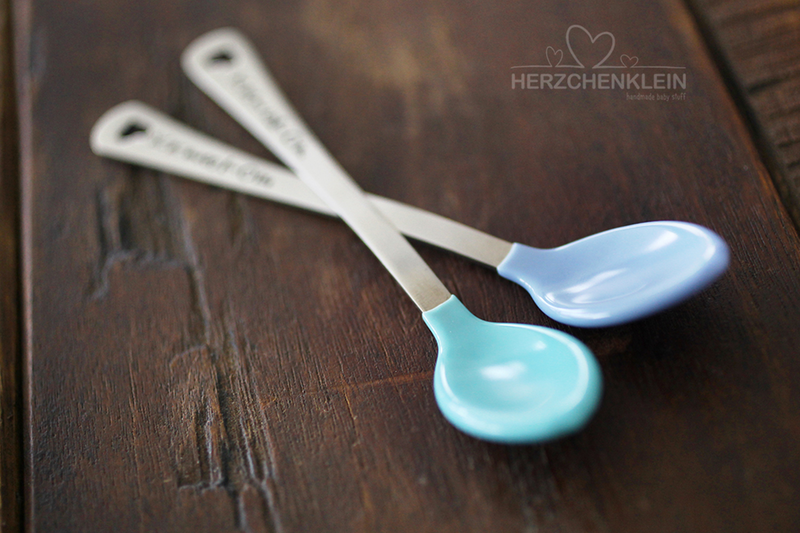 If you do not specify a different color combination, the spoons will be produced as shown in the picture.